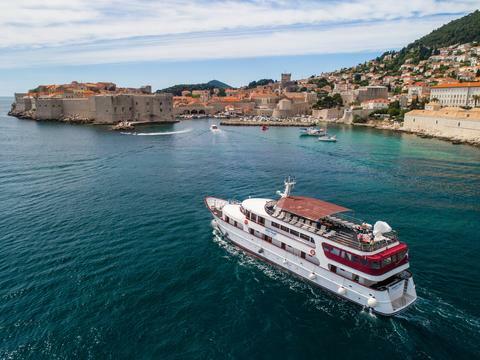 Your boutique ship will be the MS Adriatic Pearl, which was tastefully refurbished in 2018 and has just 19 spacious outside cabins. There's no dress code or overnight sailing, and plenty of time to relax, explore and dine at each port of call. Plus, thanks to the yacht's size, you can able to access the off-the-beaten-track ports that bigger ships just can't reach. 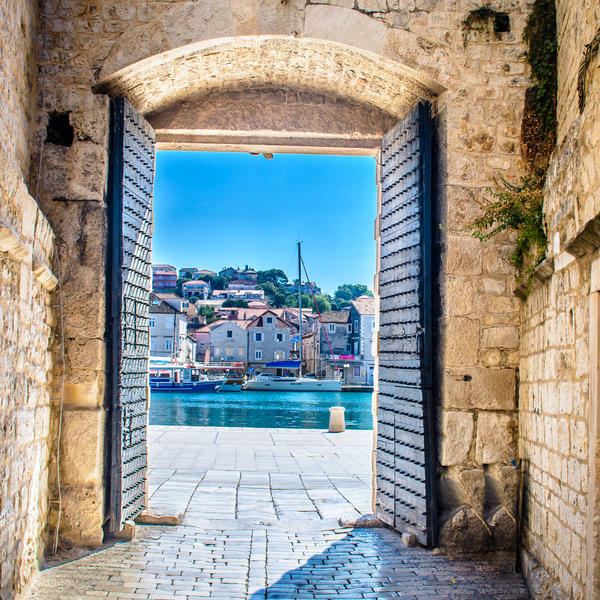 Your eight-day trip begins in Omis, then on to Brač, UNESCO-listed Split and Šibenik, before sailing for Vis and its sandy beaches, where the latest Mamma Mia! movie was filmed. 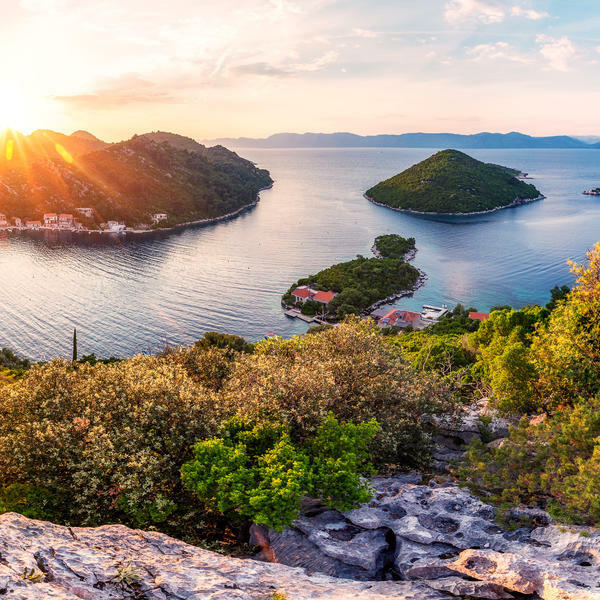 You'll continue to Hvar, then the lavender-growing island of Korčula and the coastal town of Slano before your final stop in Dubrovnik, where you will enjoy a tour of the Old Town, a UNESCO World Heritage Site. * Price based on two sharing Lower Deck cabin, flying to/from London Gatwick. Regional flights available upon request, subject to schedule and supplement may apply. 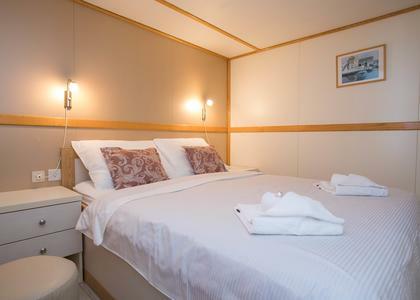 Main Deck Cabin £2129, Lower Deck sole occupancy £2549. Subject to availability. 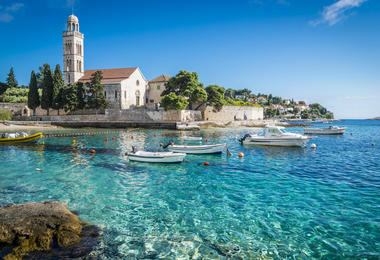 Step off the plane in Split Airport, before being tranferred to Omiš, where you'll embark the Adriatic Pearl. If you arrive early, your luggage may be stored on-board as you explore the town before returning to the ship. Meet the friendly crew who'll welcome you with a drink and a snack on-board. 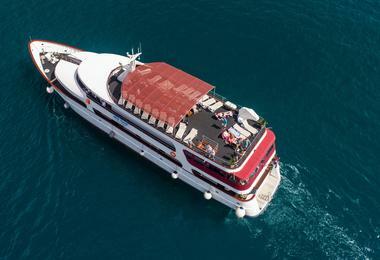 Dinner this evening will be served on-board and you will spend the night in Omiš. 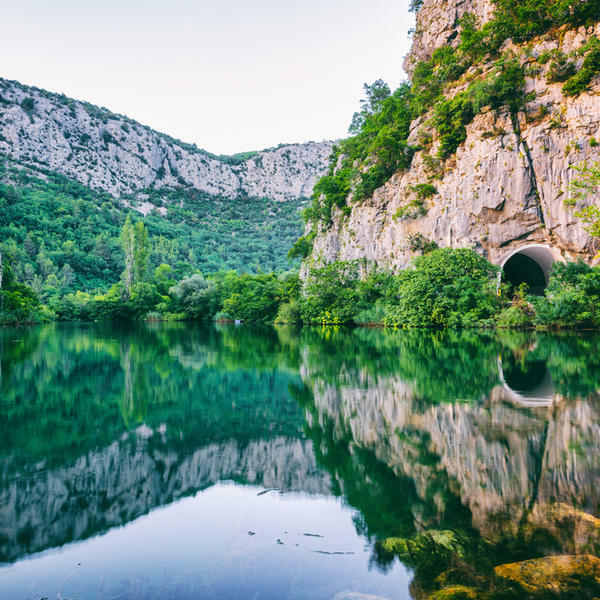 After breakfast on-board, join the included boat excursion along the verdant Cetina River canyon. 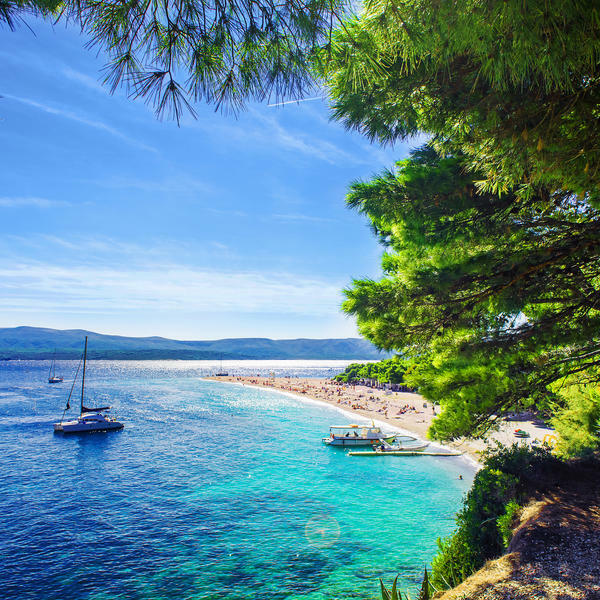 Later sail towards the island of Brač. After docking at Pučišća on Brač, you will have the option to visit to a stonemasonry school nearby where you will learn about Brač limestone and the centuries-old tradition of stonemasonry, using curious and beautiful tools. Spend the afternoon sailing to Split, where you'll spend the rest of the day. 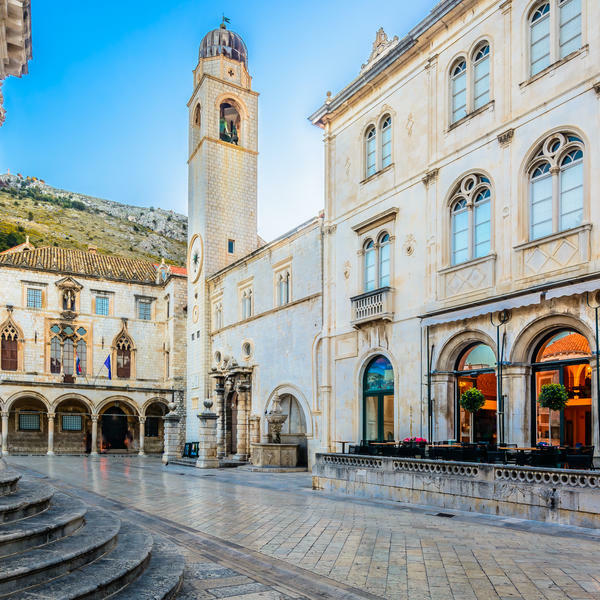 Join the included walking tour of the UNESCO-listed Old Town, home to the famous Diocletian Palace, built over 1,700 years ago, to discover its historic highlights. You'll spend the night in Split. After breakfast, join the coach for your excursion to Trogir and Skradin. Trogir is a small, Dalmatian Unesco World Cultural heritage island town, sandwiched between the mainland and the larger island of Ciovo. The island is covered with spectacular stone buildings: palaces, churches, monasteries, towers and walls. 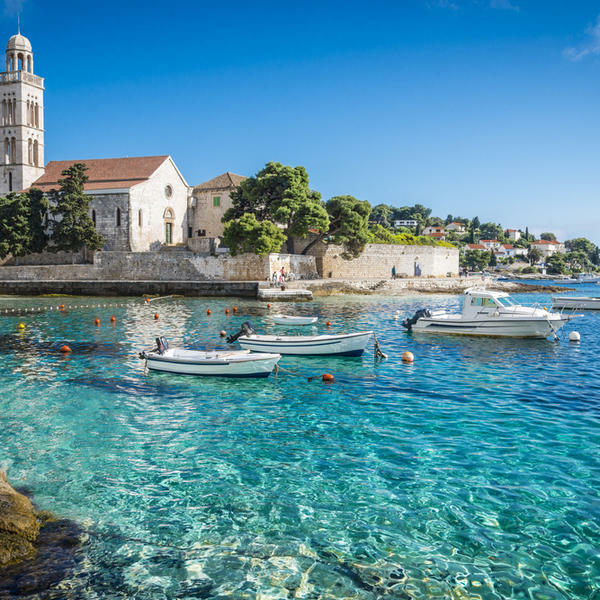 You will have time to wander around these stone houses and green parks, and pay a visit to the main Trogir attraction, the Cathedral of St. Lawrence, said to be the finest example of sacral atchitecture in Croatia. Skradin is situated on the upper end of Krka estuary at the entrance to the national park. You'll explore these grassy plains independently before heading to the final stop, Sibenik. Take an optional walking tour through the steep, narrow streets of Sibenik. In the town's main square, you''ll find the Gothic-Rennaissance Cathedral of St. James, the most valuable monument of the town's local heritage, which has been on the Unesco World Heritage list since 2001. You'll stay overnight in Sibenik. After breakfast, set sail towards Vis. A stop will be made for swimming and relaxing on the way (weather permitting). In the afternoon you dock in Vis, the island famous for its sandy beaches and gorgeous bays. Far less touristy, and with a more traditional way of life, Vis showcases the spirit of Mediterranean culture. Set off early this morning for Hvar, famous for its endless lavender and rosemary fields, beautiful coastline and charming historic towns. There will be an optional guided walk with a local around the ancient streets of Hvar town before setting sail to Korčula island. The alleged birthplace of Marco Polo, Korčula features ingenious building strategies in its unusual urban layout. Join the optional walking tour of the Old Town, guided by a local. 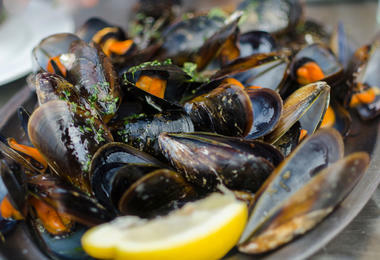 This evening, enjoy dinner with the Captain on board. 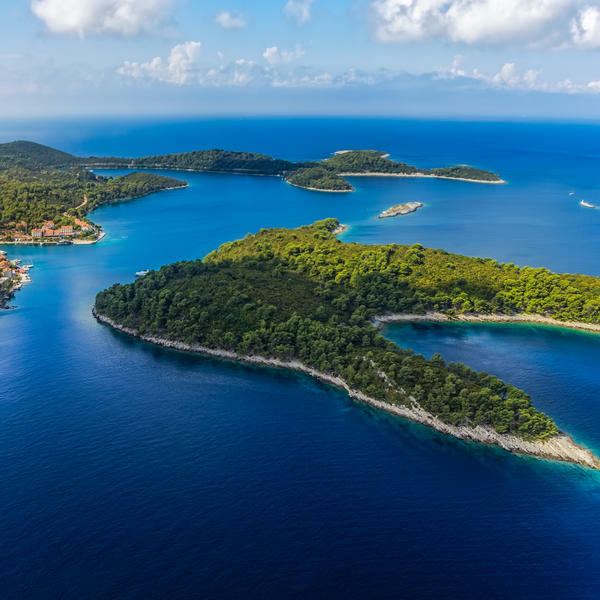 Enjoy breakfast on board this morning before arriving at the island of Mljet, home to a beautiful National Park on its western side, featuring two turquoise salty lakes surrounded by thick forest. 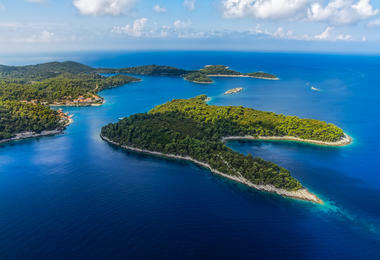 Upon arrival in Pomena (Mljet), you will have the option to join the excursion into Mljet National Park. 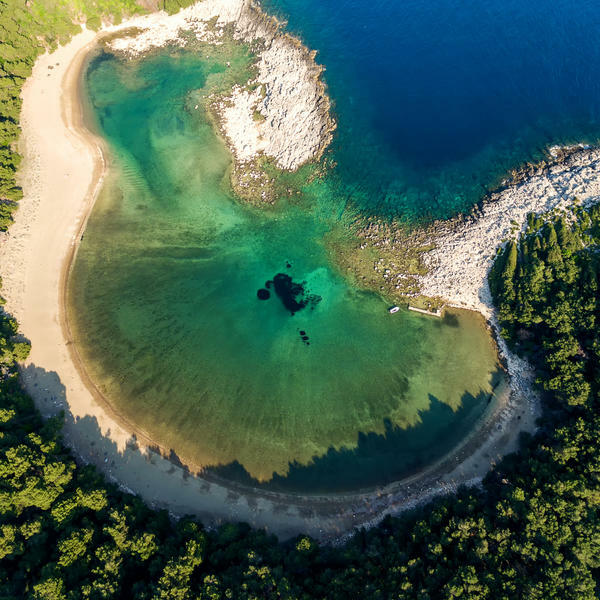 Your guide will take you to the centre of National Park Mljet where you will hop onto a small boat that taking you to a tiny island on one of the lakes. Discover a monastery and the 12th-century church of St. Mary. Relax into the view, perhaps with a cup of Croatian coffee. After lunch and a swim, you will depart early afternoon to your next port of call, Slano. After arrival you can join an optional "Taste of Dalmatia" tour, visiting Ston, a small town famous of its 5 km-long city walls (the longest in Europe) and a local winery, where of course you'll have the opportunity to taste some fine Dalmatian wines. 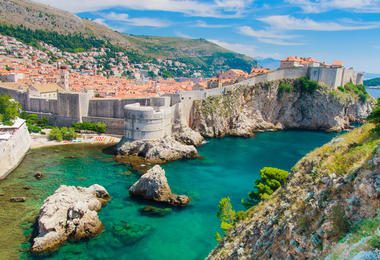 After breakfast, set sail to Dubrovnik and cruise beneath the famous City Walls. 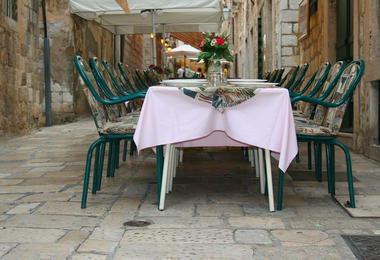 Upon arrival to Dubrovnik, you will join our included guided tour of the Old Town. From the Pile Gate, you'll wander through this fascinating acient town, a world-known landmark protected by 13th-century fortifications. Dubrovnik for centuries was a standalone Republic, the only power able to compete with the Venetians. 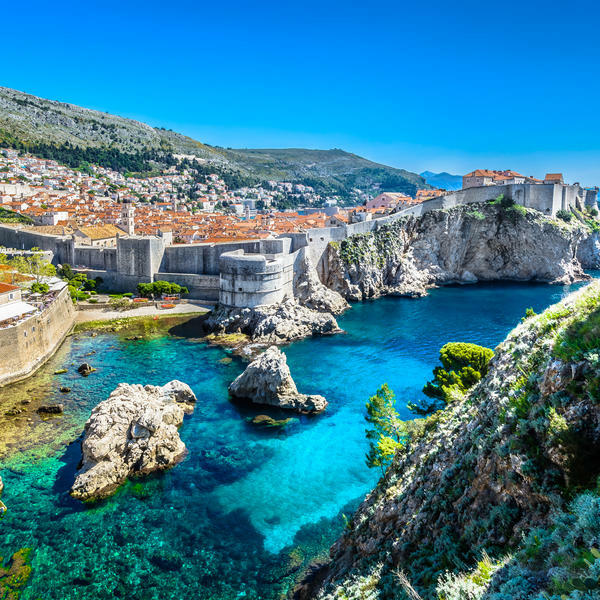 After the tour enjoy free time to explore Dubrovnik on your own, wandering through the narrow streets paved with ancient stones, taking the cable-car to the top of the hill overlooking Dubrovnik, touring the city walls or enjoying authentic Croatian fare in a local café. 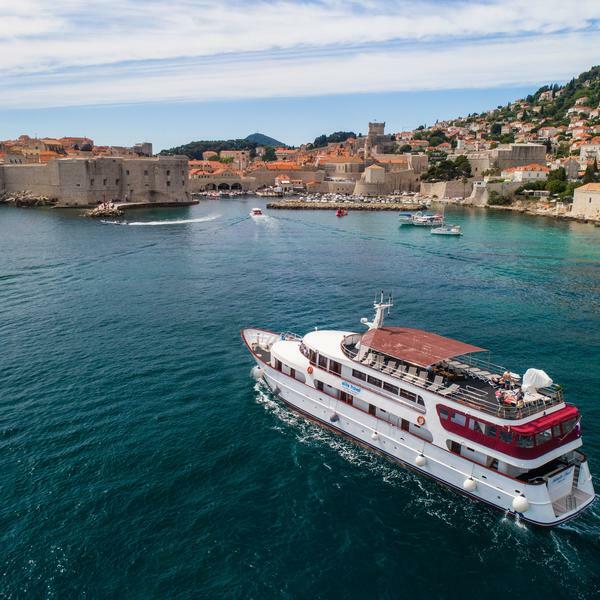 Say goodbye to your crew and fellow sailors, dismebark MS Adriatic Pearl and tranfer to Dubrovnik Airport for your return flight to London Gatwick. 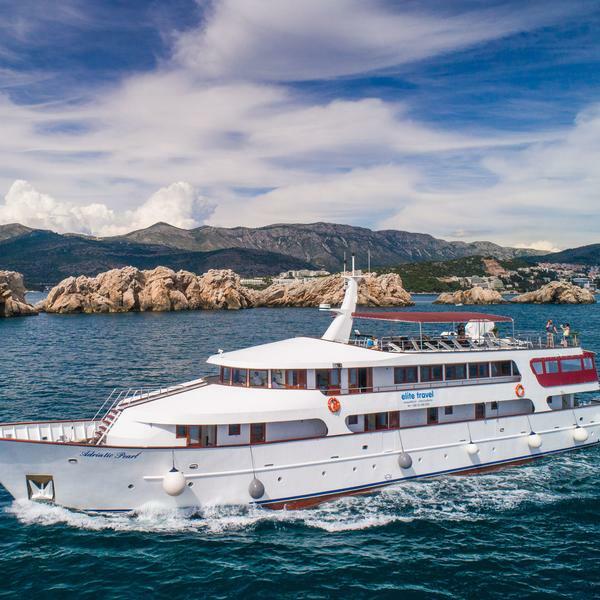 This is the perfect small ship for exploring Croatia's coastline and islands. Recently refurbished, it boasts elegant interiors and modern facilities. The lounge bar offers cosy leather sofas and the salon-restaurant, soft furnishings. A terrace outside acts as a sun (and shade) deck complete with tables, chairs and sun beds. 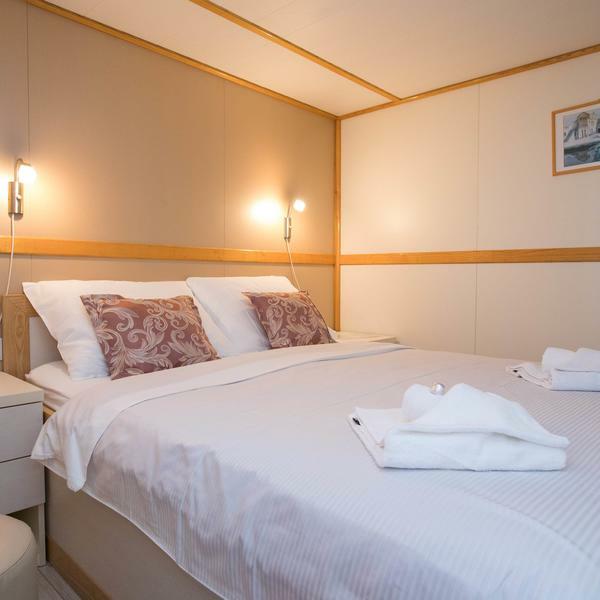 Cabins are clean and spacious, and fitted either with queen or twin beds for the ultimate comfort. The ship is 41m in length, 8.5m wide with a cruising speed of 9 knots. 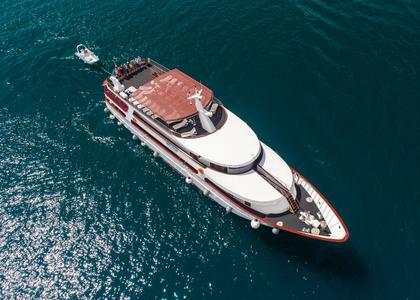 She has a maximum capacity of 40 persons in 18 en-suite cabins, located on the main and lower deck. All cabins are outside, with either a window or porthole and are fully air-conditioned. Not suitable for guests with restricted mobility or wheechair users.